President Yoweri Museveni has refuted claims that Uganda oil production maybe overdue because of the slow policy implementation processes in the oil sector saying that all major decisions have been made to facilitate oil production. 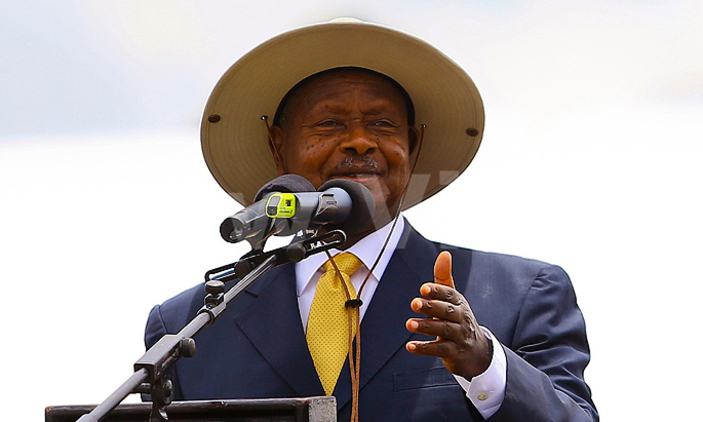 “What remains to be tested is the preparedness and readiness of you all and most especially the East Africans, our international partners, to take advantage of the industry and the expected $20b (sh76trillion)) investment expected to flow in the country,” Museveni said. The President’s speech were read by the Prime Minister, Dr. Ruhakana Rugunda at the opening 4th Uganda International Oil and Gas Summit at the Kampala Serena Hotel on Thursday. With over 1,000 delegates in attendance from different parts of Uganda, the tow-day summit is organised by the Ministry of Energy and Mineral Development, the Uganda National Oil Company and Petroleum Authority Uganda. It is centered under the theme is ‘Uganda-Moving towards commercial production’. “Please communicate to Government to clear any obstacles so that investment development can move smoothly. We will work with the stakeholders to remove any challenge,” Museveni said. The energy minister Eng. Irene Muloni ensured Ugandans that effort for the development of local content in the oil and gas industry are being realized. “The Local Content Policy was developed and approved by Cabinet this year in June. The policy provides a framework for effectively implementing Government’s local content goals,” she told delegates.